Hello! 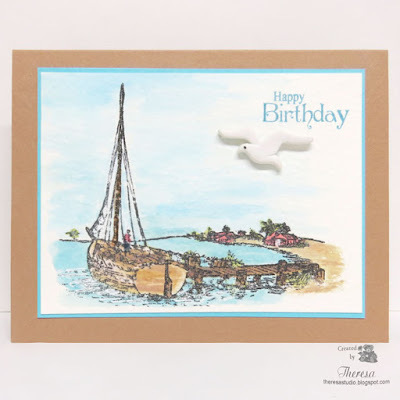 My birthday card today has Watercoloring with Distress Oxide Inks, a Button, Embossing, and a nautical theme with a sailboat. I pulled out an old stamp from my files and stamped with Versamark ink on watercolor paper, heat embossed with black EP, and colored the scene with a water brush. I trimmed the beach-side scene and placed on a mat of Blue CS and a card base of GKD Tan Leather CS. Finished with a Seagull Button that was part of a collection of ocean theme buttons that I bought several years ago on Sanibel Island. Cut off the shank before attaching to the finished card. Distress Oxide inks used were Salty Ocean, Broken China, Vintage Photo, Antique Linen. Walnut Stain, Abandoned Coral, and Peeled Paint. 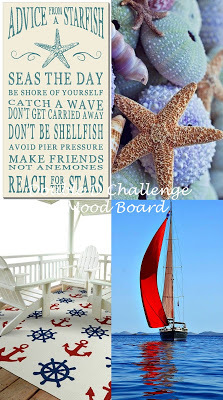 Double D Challenges: Nautical Challenge-used sailboat from Mood Board. The Paper Girls Challenge: Challenge 155 Buttons. The seagull on my card is a Button. 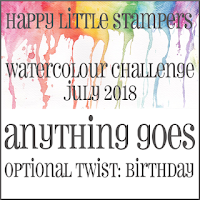 Happy Little Stampers: July Watercolor Challenge Anything goes with Optional Twist Birthday. What a beautiful creation Theresa! 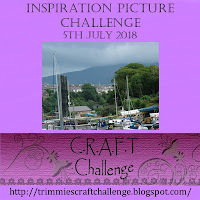 Thanks so much for joining in the fun at our Double D ‘Nautical’ challenge! Good Luck and we hope you’ll come back often. Beautiful and peaceful 'scene'....thank you for joining our challenge at Double D! Great take on our inspirational picture, you have created a beautiful scene here. A wonderful stamp and beautifully watercolored! Oh, I see you have a whole pack of beach-themed buttons. How fun! Thanks again for linking up with us at Double D! Just gorgeous, a real beach brought to life. Beautiful seaside design, Theresa. Thanks for sharing with us at Double D Challenge Blog. This is such a beautiful beach scene! I love how you created a delicate watercolor background .. Looks stunning. So beautiful in every way. Lovely image and colouring. Thanks for sharing with us at Double "D" Challenge. Such a lovely summer scene --- great coloring! 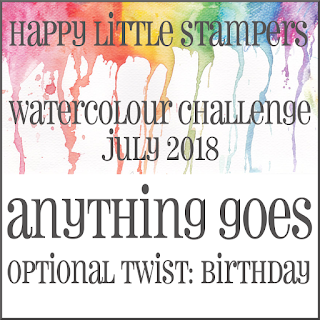 Thanks for playing along in "The Great Outdoors" challenge over at The House That Stamps Built! Simple and stunning!!! This image is perfect for a CAS card and the seagull button is the perfect finishing touch!! Love it! Thanks for playing with The House That Stamps Built.